One day, while perusing Ancestry.com, I came upon a possible link for a Mary Dornnes, in the New Jersey 1930 census. Along with the mother Mary age 67, were her daughters Margaret age 40, Sadie age 37 and Josephine age 30. Then came a surprise, also listed were Mary's grandchildren, Ida 22, and Emmett age 20. The address was 14 Wakeman Avenue, Newark, New Jersey. I then looked in the 1920 census and eventually in the 1940 census. In 1920 there was Mary Naughton Downs and her three daughters living on 12 Wakeman Avenue Newark New Jersey. In the 1940 census, Mary Downes, was living at 150-152 Broad Street, Newark, New Jersey and her granddaughter Ida, who was a school teacher, was living there also. My unanswered question was, why did they move to New Jersey? My research had stalled to a snails pace. This spring I was research on Family Search and I found another person researching this line. I contacted her and from there I met a cousin who is descended from my great grandmother's sister Mary Naughton. Soon we were in touch and exchanging information. As the story goes Dominick Molloy moved the family to New Jersey to start a Tavern business in Newark with his brother Martin. Mary Naughton moved to help take care of the children and said that living above a tavern was no place to raise children. Business was good until 1920 and the Era of Prohibition, they lost everything and at some point in time moved in with Mary Naughton and her daughters. I found that tidbit of information in the Newark City Directories. Mary and Dominick had a son, Brendan, who was quite sickly and died at a young age. Shortly thereafter Dominick Molloy died in 1925 and his wife Mary Molloy the next year. in 1926. I have yet to discover the cause of their deaths. But I do know that they are buried in Holy Cross Cemetery. Bergen County New Jersey. The place of burial for Mary Naughton, who died 9 March 1944 is in St. Mary Cemetery, Pittsburgh. Also buried there is her husband Michael Downs, and daughters Margaret, Hannah and Sadie. Rebecca, who died as an infant may be buried there too. The burial place for Catherine, Annie and Josephine are unknown at this time. I would surmise that the deaths of Catherine and Annie as children would indicate they are buried in Allegheny County PA and Josephine in New Jersey. For quite a few years I have tried to figure out what happened to my great grandmother's (Bridget Naughton Dowd) sister (Mary Naughton Downs). Mary was a bit of an enigma. I know she was married in 1882 and she and her husband Michael Downs had six daughters. I learned this information from the church records from the Diocese of Pittsburgh Archives, Saint Thomas RC Church in Braddock PA. Then the couple disappeared, and left me in a lurch. Ancestry published the PA Death Certificates and none of them were there. But, Pennsylvania did not start recording deaths until 1906. Therefore, the missing must have been gone before then, or so I had surmised. The last child of Michael and Mary Downs was born in 1896, so that gave me a window of 10 to search for a death. By chance I found a will for Michael written in 1898, and it gave the date of death as 26 March 1898, in North Braddock PA. In his will he mentioned his five children, not named. 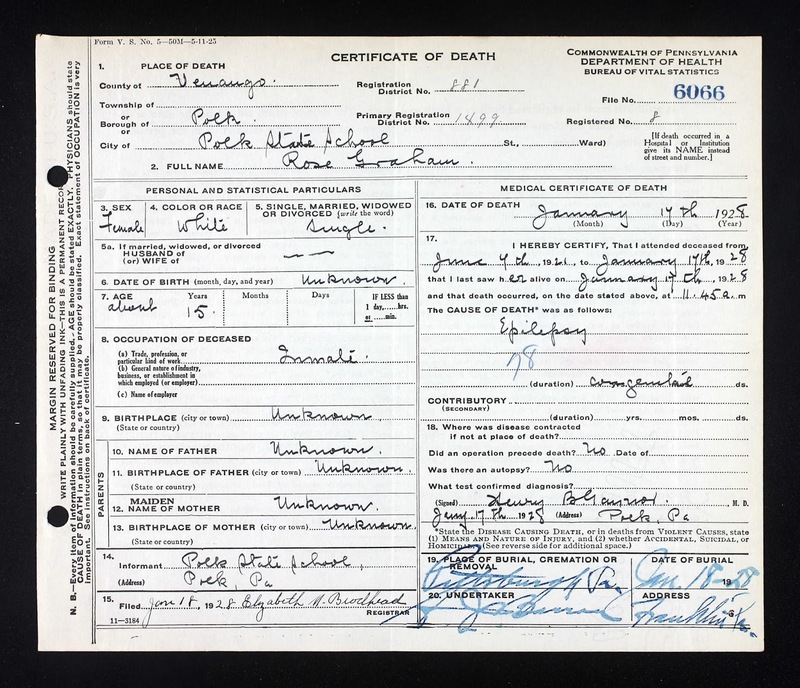 It is interesting that Allegheny County had death records but not any of the Downs family was listed in them. I have not found Mary in the 1900 census, but she was a sponsor for the Baptism of her nephew, Richard Dowd on 23 December 1900. An interesting side note is there was a Marie McCoskey who served as sponsor for a niece, Theresa on 7 October 1906. I have everyone of the sponsors identified, could this Maria be a remarried Maria Naughton Downes? In the 1910 census she is listed as Mary Downes, and living with her four daughters in North Braddock PA. Her oldest daughter Mary, her son in law Dominick Molloy and two grandchildren, and daughters Margaret, Josephine and Sadie. There were also ten boarders, none of which I have yet found to be relatives. She took in boarders to make ends meet. 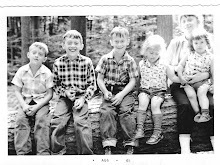 I found out rather late in my research that my great grandfather, Patrick O’Rourke, had two brothers in Pennsylvania. I think it came to light after I received the Baptisms Records for his children, from the Diocese of Pittsburgh. On 24 September 1880, Johannes O’Rourke, was the sponsor for my great Uncle James Patrick. John was also the sponsor for Aunt Gertrude on 1 June 1890. Jacobus and Brigitte O’Rourke were sponsors for my great Uncle Thomas on 21 June 1885. I correctly decided they were relatives, but how? Who were John and James? After a bit of searching over a few years I had a few answers. Pennsylvania released the Death Certificates a few years ago and using Denis O'Rourke's name for the father John appeared. John died 25 May 1908, but no death certificate for James. One day I found PITTSBURGH CITY DEATHS 1870-1905. While searching there, I found the death of three children, Patrick, Anna and James, with the parents listed as James and Bridget O’Rourke. They deaths were in 1879 and two the summer of 1886. 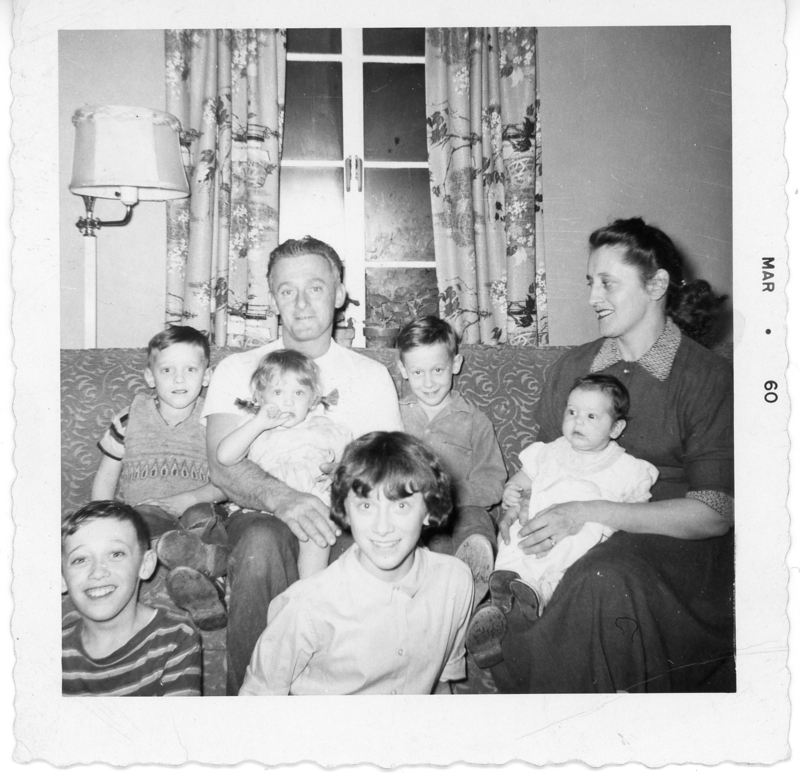 At that time James and Bridget were living in Ward 14 of the City of Pittsburgh. In the 1900 census that the couple were married in 1875 and had both emigrated two different dates a few years earlier. So my guess was they married in the USA. In the 1900 census they were living still in the 14th ward and had two daughters Mary and Catherine. I searched both James and Bridget in Pennsylvania and Massachusetts to no avail. My dilemma is that in 1908 it lists James living in Boston, while it is certainly possible for James to move to Boston after the 1900 census, but did he? Everything else in the obit has proven to be accurate. Is James, the sponsor, a cousin and not the brother? I will post this and look more closely into this matter. Well, I have found the answer to this dilemma. As it turned out I did find a death records for James O'Rourke, with wife named Bridget. This James is not the brother of Patrick, because the parents names are not Denis O'Rourke and Mary Griffin. I think James was a relative of Patrick but not a brother, could have been a cousin. I have been searching for James O'Rourke in Boston, but no luck there at this time.